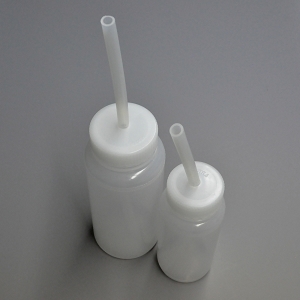 For patients on a liquid diet or wired shut, these bottles are perfect. 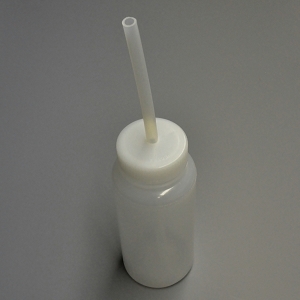 They have a wide mouth at the top for easy filling, and a soft silicon straw wide enough for shakes, smoothies and purees. 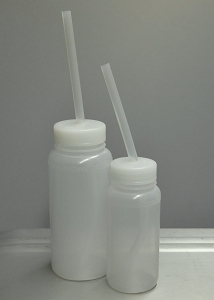 Great for maintaining hydration and nutrition, these bottles improve dietary access and delivery for the patient. Polypropylene screw closure and stem feature one-piece construction to ensure a leak proof seal. NutriSqueeze Thick Bottles also available in 8oz size; and for liquids see the 8oz NutriSqueeze liquid bottle and the 16oz NutriSqueeze bottles. 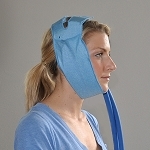 Or get a discount pack for recovery from double jaw and oral surgeries, jaw-wiring, or facial trauma in our Recovery Kits.